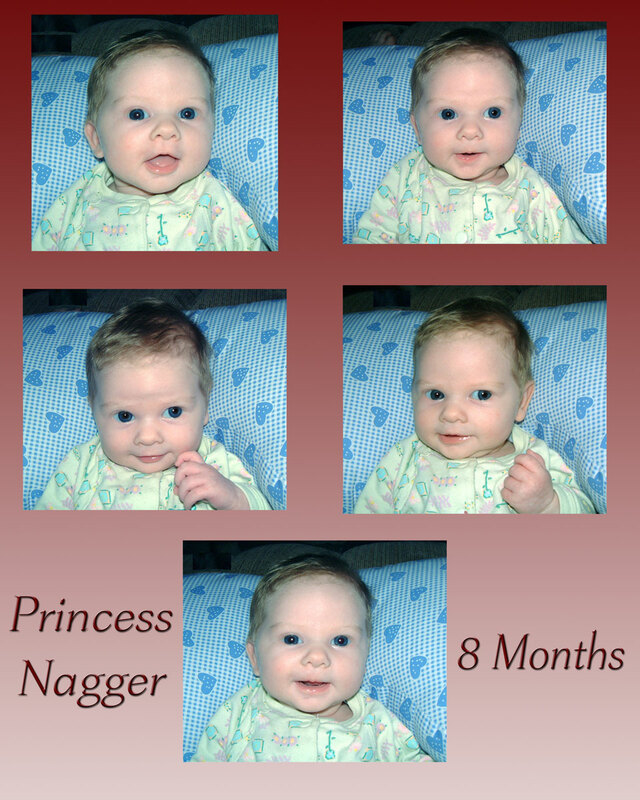 When Princess Nagger was born, I had finally graduated to a great point-and-shoot digital camera, and alternated taking pictures using that and my film camera. Good thing I did take pictures with my film camera, because my computer crashed and has effectively held Princess Nagger’s first year of baby pictures hostage since. Hopefully I’ll be able to retrieve them at some point. Now I back up everything and store any important stuff (like PN pictures) on an auxiliary hard drive. Thanks to SanDisk, I still had access to some great Nagger images when she was a baby. They sure grow so fast, don’t they? I’m glad I took a zillion pictures of her when she was small – it’s fun to compare then and now shots (and have some excellent ones stashed as perfect blackmail pictures for when she starts dating). I absolutely love newborn baby photos – their innocence and look of wonder on their faces gets me every time. Not to mention their little fingers and toes. A couple of years ago I saved up and finally invested in a Nikon DSLR – I absolutely love it. SanDisk memory cards have come a long way – now instead of worrying about space on my old 2GB cards, I can take pictures like a maniac with the larger size cards. Which means I can continue to be camera happy, since I love taking pictures of my kids. I participated in a campaign on behalf of Mom Central Consulting for SanDisk. I received a product sample to thank me for participating – no monetary compensation was received implied or otherwise. All opinions are mine and not influenced by outside sources. See my Disclosure Policy here. This entry was posted in Alert, Announcement and tagged Alert, Announcement, baby pictures, erin manning, memory cards, new born baby photos, sandisk by Stacy (the Random Cool Chick). Bookmark the permalink. I take (way too) many pictures of my kids. 🙂 I will have to check out the video when I can get my sound working! It stinks that you lost those pictures. Are you kiddin’ me???? Oh my Lord, I have a cedar chest full of pictures, and a whole dresser full downstairs that some are mine, the rest was my mom’s, and some from my MIL. Some day I’ll go through them… maybe… not!!! My mom left the job to me and I’ll probably leave the job to my daughter…. lol. Although I did go through some of my mom’s to share with my step-brother. I’m a good sister!!! oh my goodness…he looks so cute and adorable. Thank you for sharing his pictures.